* Changed: Baranow river is now brown and not blue like Mediterranean sea. * Changed: Meredet Winter river is now brown and not blue like a Cherenkov radiation. 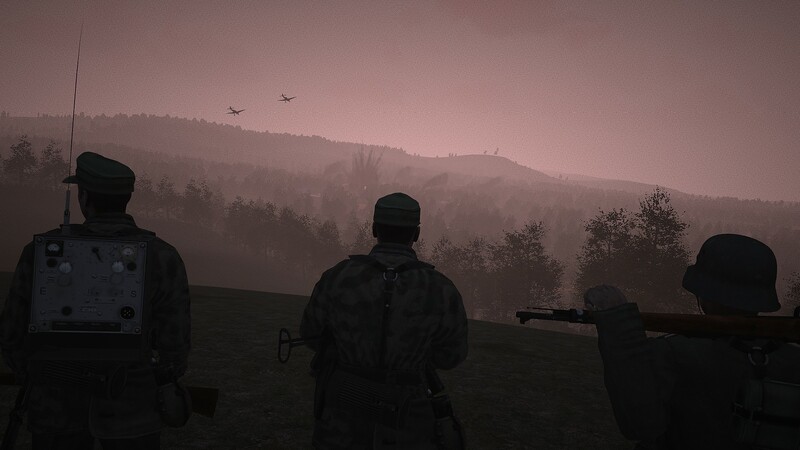 * Improved: German vests shadow LODs (removed hidden selections, removed some assigned textures or rvmats). * Improved: reimported I44 church with correct textures. * Fixed: C-96 had wrong caliber and bullet count in its magazine, now 10rnds of 9x19mm. * Fixed: German rolled sleeves uniform had a weighting issue. * Fixed: very low fuel capacity of planes.